Interest rates on credit cards' outstanding balances are set to drop with the Reserve Bank of India (RBI) asking banks to revisit the charges to ensure reasonableness, fairness and transparency in pricing. Also, fraud victims will receive succour from another directive requiring banks to formulate a 'zero liability' policy for customers in cases where negligence cannot be established. Interest rates on credit card balances vary from 15% per annum for good customers who pay minimum amount due in time and 42% per annum for those who fail to make any payment. 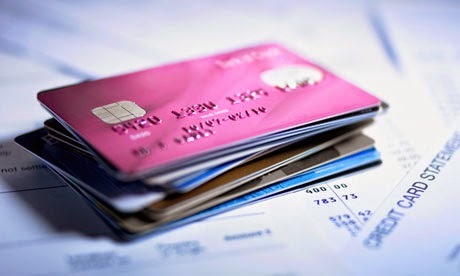 Since these are unsecured personal loans, there is no cap on the amount of interest that they charge. The decision on trimming charges was taken at a conference attended by bank ombudsmen and the top rung of the RBI, which included governor Raghuram Rajan. The conference resulted in action points being drawn for the Indian Banks' Association. In its report, RBI stated the following action points: "Interest rates charged on credit card overdue were inordinately high and out of alignment with other products with similar risk profiles. There should be reasonableness of such charges. Banks to revisit the charges levied to ensure reasonableness, fairness and transparency in pricing. IBA to issue detailed operational guidelines to banks in this regard." At present, whenever there is an internet fraud, the credit card holder has to run circles to get a refund of the unauthorized usage if he falls victim to an online fraud. One of the action points for IBA is to formulate a policy on zero liability of customer in electronic banking transactions, where the bank is unable to establish customer-level negligence. "The onus of proving customer level negligence would be on the bank and when such negligence is not established beyond doubt, the benefit of such doubt may be given to the customer. IBA and banks should strive to put in place policies, systems and processes to secure electronic banking systems, protect customer's interest to bring it 'at par' with traditional delivery channels," RBI said.